Why I liked this book: Alec Baldwin, born as Xander Baldwin is a bit older than me, but we're in the same range. He grew up in a suburb outside of New York City like me. I did not think of the similarities until I began to read the book. The geographic culture is the same, but also is the pop culture we grew up in. Alec begins the book by saying the he wrote it, simply, because he was paid to write it, which he also says was his motivation with many other things he did. memoir. He may not have sought out to be introspective I mean who has the time to be with so much going on in one's life like he does- but the book forced him to. He says in the preface that when he looks at his life, he deduces that he ended up in "the rabbit hole", He cites this as a "bizarre, confusing, or nonsensical situation or environment, typically one from which it is difficult to extricate from." I know Alec said he was happy after he wrote the book, it's immortality for him on an cultural level - as if he needed more- but it's also a diary of his life for his descendants. He started the book as a child growing up in Massapequa, Long Island. He talks about his family, his parents. He talks about high school, having the life of a regular suburban kids with sports and interests. He talks about all the movies he watched. He talks about his first girlfriend who dumped him because her parents told her to (she's regretting that for sure). He talks about wanting to be a lawyer, going to NYU, and his first job. I forgot that he was on The Doctors. That was one of the soaps I watched on Channel 4 (NBC). He was also on Knots Landing for those who remember that night time soap. He talks about the city and what he did. And getting back to the age range, anyone reading this, especially anyone living in New York will identify with where he went and what he did as a twenty-something in the Big Apple (excepting of course the acting part). He talk about his struggles. He is open about his AA meetings and problems. He talks about the women in his life and his struggles. He talks about his daughter. He talks about the huge body of work he has done. I didn't realize just how much he had done. While reading the book, you'll probably think "oh yeah I remember him in that," or "I forgot he was in that." Alec drops a lot of names. But that's needed. To get where he is, you meet a lot of people along the way and you need a lot of people to get to where you are going. Alec told me that one of his favorite chapters was about classical music. That was a good chapter. He was in love with classical music. SO much so that he would call up the stations after listening to them on the car radio (that's all there was in a car back then) and ask the details of the song. He also lists what pieces he wants played at his funeral. Written like a true boomer. 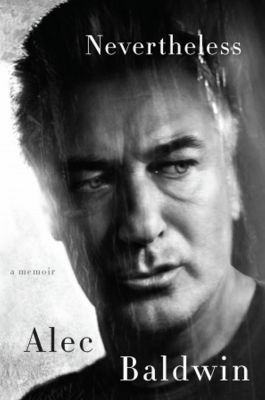 I would recommend this book if you are fan of Alec Baldwin, but I would also recommend this book if you want to read about a real person and their climb, or if you are above the age of 45 and want to take a trip down a pop culture memory lane. It is a serious book. If you think you'll be hearing about the comedian behind the Trump impersonations, that is not who you will see he is. And you will understand why he does not love doing it (although we all love him doing it). It's just something he found in the rabbit hole. Thanks for the memories, Alec.